TGIF!! Why is it that short weeks are always the longest?? 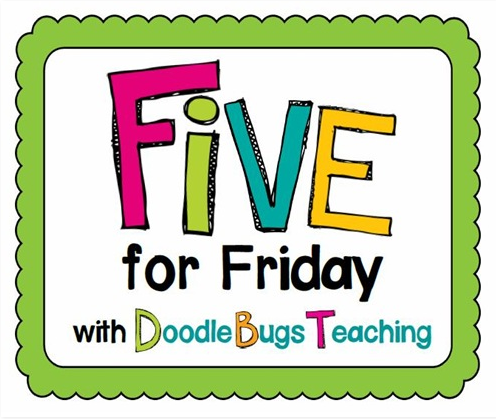 I'm happy it's Friday and I'm to be linking up with Kacey at Doodle Bugs Teaching for her Five for Friday Linky Party. 1. I love quotes (and you can quote me on that)! I especially love inspirational quotes. I found this quote on Pinterest not too long ago. It really motivates me and I love the colors. I decided to have it printed and put in a frame for the painted table in front of my classroom. It looks perfect! 2. Raise your hand it you're tired of indoor recess (my hand is raised!). First graders were very easy to entertain during the long winter months of indoor recess. I had a tub of Hot Wheels for the boys and a tub of Littlest Pet Shop toys for the girls. Indoor recess can be tough with 3rd graders! They're bigger and louder than my first graders ever were. 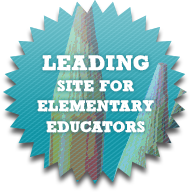 This week I was at my wits end with indoor recess and decided to do something about it! I'm in the process of making a "Recess in a Jar" product. It's almost finished and will have around 20 easy and fun activities for indoor recess time. My plan is to make one for each of the six tables in my classroom. Hopefully this will bring some order to recess time! 3. I saw the cutest knit blazer (on Pinterest of course) and knew I had to have it. 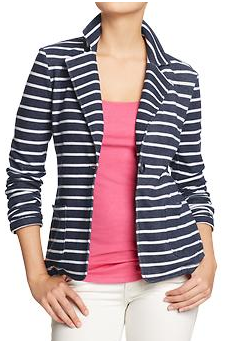 I was pleasantly surprised that it was from Old Navy! Usually when I see an article of clothing that I love online it is way out my price range. Not this one! Old Navy was having a sale and I got it for less than $30! I think it will go with so many outfits. 4. 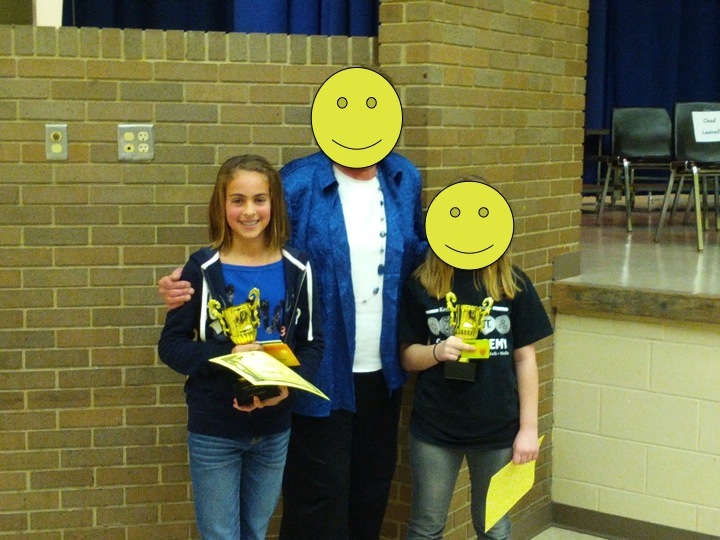 On Wednesday my youngest daughter won the City-wide Spelling Bee! She worked so hard studying the hundreds of words on the spelling bee list. You can tell by the HUGE smile on her face that she was thrilled!!! They are adorable! 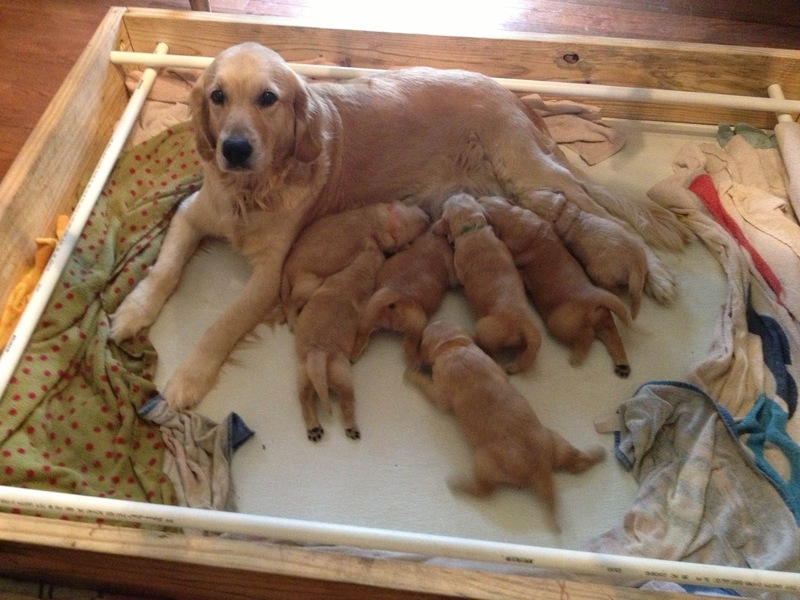 We will find out this weekend if we get one of the two boys in the litter. If so, I have until early March to prepare myself. Thanks for reading about my week! Enjoy your weekend! 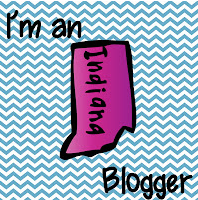 I found your blog via Doodle Bugs' linky and am your newest follower. I love the indoor recess idea. 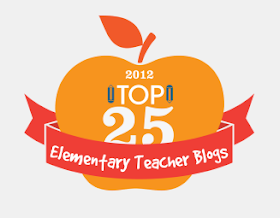 I teach kinder so it isn't super bad but I would love to keep it exciting for them, not just here are our games, puzzles, and blocks. I'm looking forward to seeing what your finished activity includes. 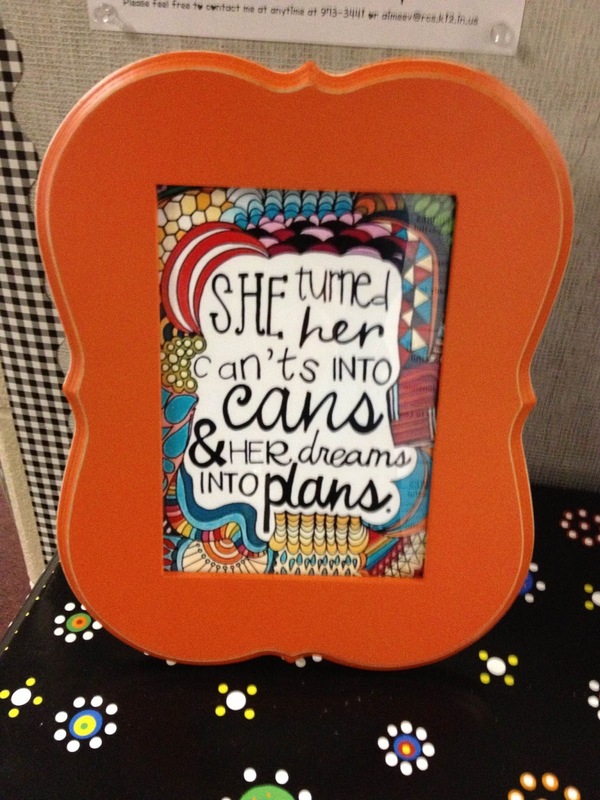 I LOVE the framed quote! Fantastic! I read about http://www.adventuretofitness.com/ last week on a blog. I wasn't sure my third graders would go for it, but they have been asking all week to try it again. We lost our "activity time" due to testing so I didn't mind! That blazer is fantastic! I love finds like that! Congrats to your daughter for winning! That is awesome. Can I have a puppy too? Our house needs a pup. Our neighbor has a Golden retriever named Tucker. We love that boy! I'm here from DoodleBugs, too! The puppies are darling! I had to deal with antsy preschoolers this week because we couldn't go outside either. The inside recess is a great idea. :) Thanks for sharing! Congratulations on the win and the dog :) I found your blog through Doodle Bugs and am your newest follower! Good luck on indoor recess...I hope it gets better. Oh my gosh those puppieeeeees! :-P congrats to your daughter!! Those puppies are so cute. 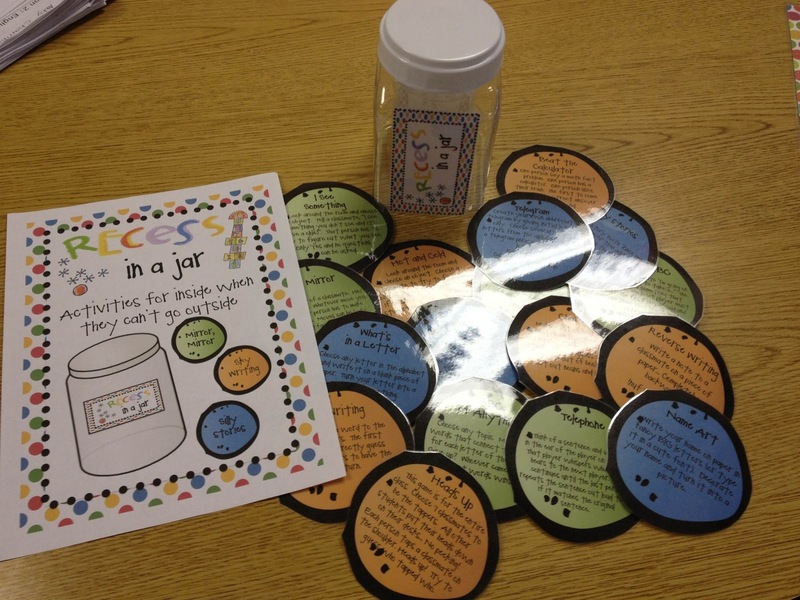 I NEED your recess jar, too many indoor days. I am your newest follower, need to know when your activity is finished, lol. Love the quote and the blazer! Congrats to your daughter and enjoy your new puppy! Awwwwwww! There are so many things I LOVE about this post!! I love the quote and I LOVE the blazer and the fact that you didn't have to pay $300 for its cuteness. And your daughter...winning the spelling bee...awwww!! Yay for her! And then the puppies! If we ever get another dog I want a golden retriever!!! Soooooo cute!!! !